You are at:Home»Analyses»Five Christian approaches to Islam: Another look at Martin Accad’s proposal. 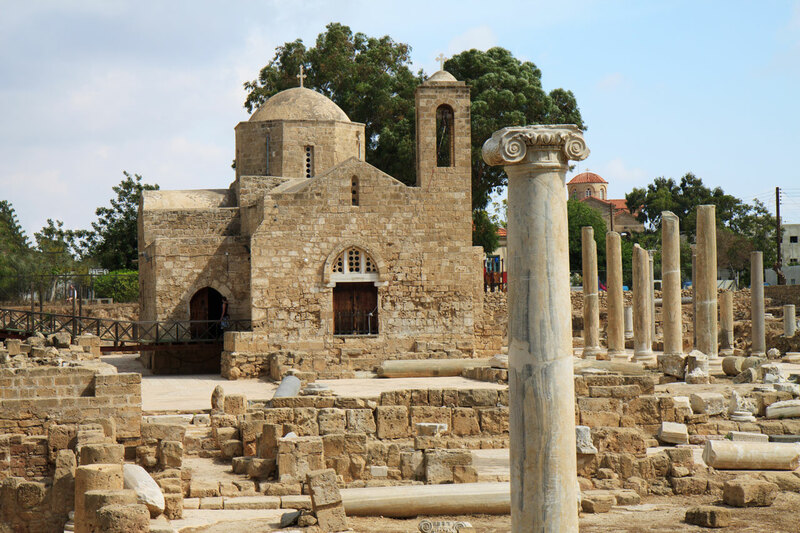 The Lebanese born scholar Martin Accad among others has surveyed Christian approaches to Islam since the visit of the delegation from Najran to Muhammad in about 631 AD. As we review this history, we can see that it is largely informed by the spirit of the times. Let us briefly examine Accad’s attempt towards a “balanced approach” and look at what he calls his SEKAP scheme. We will look at the strengths and weaknesses of each of his categories and his overall recommendation. 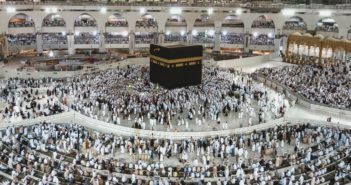 Syncretistic (S) –“All roads lead to Mecca.” One can see this where people combine Christian and Muslim ideas in things like the Insider Movement and where all differences are relativized. An example might be seen in the recent book by David Garrison called A Wind in the House of Islam. 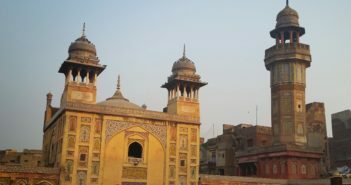 There he talks about a Sufi named Jabar who had so-called Christian worshipping groups who say, “Jesus is my Pir” The problem with this approach is that a “Pir” can range from a spiritual leader, to a manufacturer of occult amulets, to a Sufi spiritual guru, to one who is the leader of a Sufi Muslim school. How he can say that Jesus is one, is sheer syncretism. This attitude often informs those who advocate inter-religion, and sometimes creeps into inter-religious dialogue. Kerygmatic (K)–“The Gospel as God proclaimed it.” [the name of this approach comes from the word ‘kerygma’ or the Gospel as proclaimed ]. Accad suggests that it avoids “polemical aggressiveness, apologetic defensiveness, existential adaptiveness, or syncretistic elusiveness” (p. 38). Consequently he says it has “no militant enforcers, no fanatic defenders, no smart adapters, and no crafty revisers.” He suggests that it is the power of the Word of God spoken that does the convincing. Apologetic (A) –“Engage Muslims only for evangelism–drawing from the wealth of history” This posture attempts to demonstrate the validity of Christianity and as Accad says, “to refute the validity of Islam.” At times this approach has been labelled “hit and run evangelism” as the Muslim person is considered only a statistic to be gained. 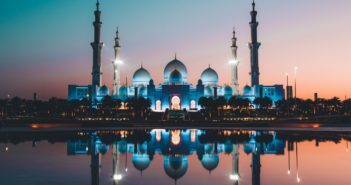 On the positive side, however, may consider deeply the contents of Islamic texts and the overall Islamic worldview as it presents Christianity as an alternative. Polemical (P) –“Seek and destroy Islam” This was common, as the scholar Samuel Schlorff points out in the middle 1800s when colonialism was strong, and the idea was that every other religion needed to be uprooted and the world Christianized. An 8th century example was John of Damascus, and a contemporary example is Father Zacharia Botros with his exposing of Islam. Frequent words associated here are “deception”; “heresy”; “Satanic.” There are nuanced views of this position as well, that have a way of respecting Muslims as humans, yet exposing Islam’s agenda on its own terms and differentiating between respecting fellow humans as made in the image of God and exposing the anti-Christ spirit of Islam. Question: Does Accad recommend only the kerygmatic approach? Question: What is useful about Accad’s approach? He is able to be critical of approaches which people have baptized as the “most Biblical” and even his own approach. He sees the weaknesses of the sociological approach which has begun to dominate mission theory. He knows how to use different approaches in different situations, and is able to differentiate between different Muslims and does not see them as a monolithic block. As well he provides a questionnaire in his article called “Test of Attitude Towards Islam and Muslims” [TAIM] which tells the person which tendency they might have. foundation for discussing theological, doctrinal, social, and cultural issues. b) The affirmation of common ground and avoidance of divisive issues. c) To dialogue on social, economic, and political issues. not to relate to Muslims at all. c) Public debates that make heavy use of apologetic arguments. Question: What is less than useful about Accad’s approach? As much as Accad subscribes to the power of the Word of God spoken, he does not seem to connect the fact that this Word also has the power to destroy anything set up against the rule of Christ. Case in point was Elijah with the Baal prophets. This did not lead to singing Kumbuya with them. Another time was Paul exposing the religious longings of the Athenians as leading to idolatry. He called people to repentance. It seems that Accad might think that this would happen automatically. Accad’s article is placed in a book which focuses on “respectful understanding and witness.” One wonders at what cost a person engages in this posture. For instance, if the objective is to avoid all offense, to remove any actual proclamation of the exclusiveness of Christ while showing respect, is this actually a fundamental disrespect for the King of Kings, under the rubric of congenial relations with humans? Accad talks about an atmosphere of “mutual respect, love and humility.” Before whom does he show ultimate respect, love and humility? Is this just in front of the other religionist he is talking too, or is he fanatical for the glory of God, and does “zeal for God’s house” consume him? Jesus did not necessarily show mutual respect, love and humility of the soft-soled shoe, tender voice variety as he challenges the mercenary temple sellers–religious as they were. Paul did not first of all think about mutual respect–even though he knew his place–as he put the profligate Festus against the wall with talk of judgement. Accad says: “Your view of Islam will affect your attitude to Muslims. Your attitude will, in turn influence your approach to Christian-Muslim interaction, and that approach will affect the ultimate outcome of your presence as a witness among Muslims.” [Italics by Accad]. As much as there is some superficial truth here, I think that his starting point is wrong and logically so are the consequential steps. This is sheer humanism and resultantly cuts the optimism of his kerygmatic approach down to size. At Athens, the Apostle Paul’s exalted view of the worthiness of worship of Jesus as the Sovereign Majesty and his exalted view of YHWH, affected his attitude towards other forms of worship. This informed his attitude towards the Athenians, and formed the basis for his approach. He spoke as a bold ambassador for His Majesty and the outcome was not his problem. Concerning the Qur’an Accad says: “…Numerous verses in the Qur’an seem to indicate that Muhammad’s message was his genuine attempt to provide what he believed to be the essential elements of the Judeo-Christian Scriptures to his Arab people in a language that they could understand, namely Arabic” (p. 40). Unfortunately Accad seems to be using some of the slippery stuff that those prone to syncretism like to use. Sure Muhammad might have been sincere and nice to use Arabic. His message, subverted, rather than supplied the essential elements of the Judeo-Christian Scriptures. Abraham was his model ancestor, Jesus functioned as his John the Baptist, and Mary was employed to mirror his miraculous reception of the word of Allah and her rejection and vindication were his as well. “A Christ follower using that approach will happily make use of the Qur’an and other elements of the Islamic tradition as appropriate and acceptable bridges of communication” (p. 43). This raises an important issue. Paul at the Areopagus certainly did employ the Greek poets Aratus and Epimenides. But to what purpose? Accad would likely say to build bridges of respect. Paul actually used them strategically to explode their bridges to the gods of their own imagination. Yes, he used language they understood, but the end goal is what is important here. In Paul’s case it was the authoritative proclamation of Christ resurrected to the be Judge of humanity, and so all of the Athenian idolatry was put into question. This is the Kerygma. Accad has provided an analytical tool, but his social science orientation has dulled the power of the very Kerygma he advocates. Pity that his TAIM questionnaire serves to “tame” the lion of the power of the Gospel. Source: Martin Accad, “Christian Attitudes toward Islam and Muslims: A Kerygmatic Approach” pp. 29-47 in Woodberry, John Dudley, and Evelyne A. Reisacher. Toward Respectful Understanding and Witness Among Muslims: Essays in Honor of J. Dudley Woodberry. (Pasadena, CA: William Carey Library, 2011), pp. 29-47.